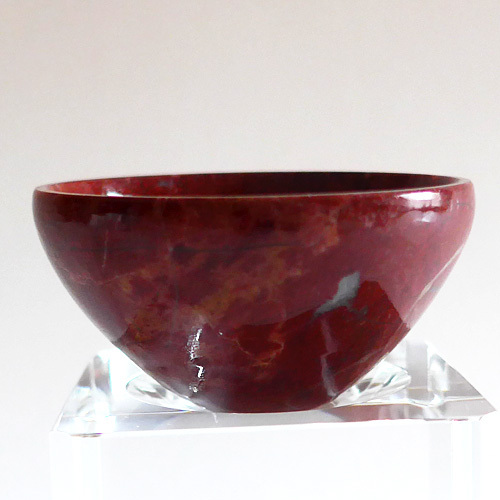 These gorgeous hand cut & polished bright sienna Red Jasper Bowls have an average diameter of two inches, so it is large enough to hold a small flower or simply water and can be placed on your altar or a display shelf or window sill in your home. It has a beautiful shine & earth coloring to it & will enliven any altar or room in which it is placed. A great way to help yourself get grounded! Metaphyically, Jasper is known for its grounding, regenerative & protective qualities. 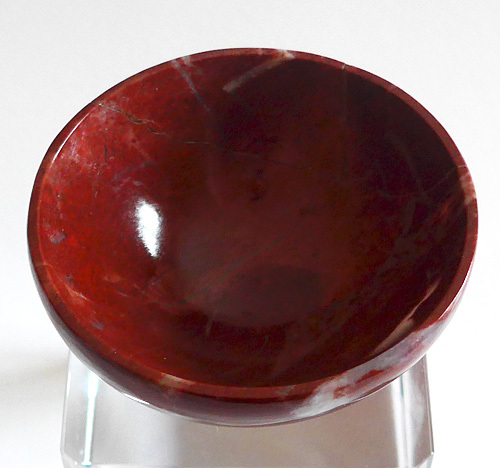 The earthy red coloration of these Red Jasper bowls make it especially helpful for grounding spiritual heart energies & helping one to feel secure & connected on the earth plane. Note: Weight above is shipping weight. Average weight is 1.55 oz. 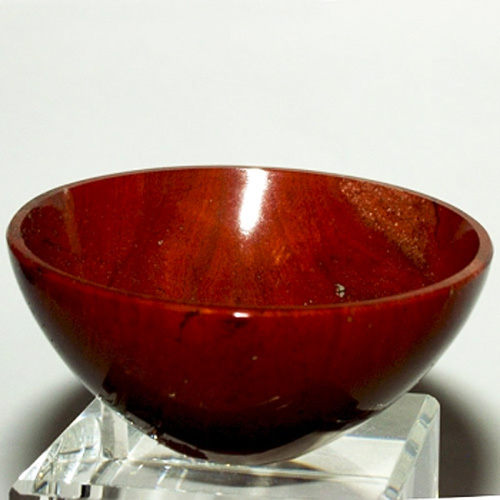 These bowls are cut from natural stones and may vary slightly in appearance and dimensions. Each piece is guaranteed to be beautiful and to meet with your complete satisfaction!